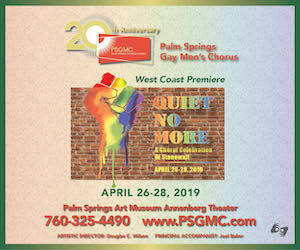 V i l l a M y k o n o s is a premiere desert resort, catering to the GLBT traveler seeking large, upscale accommodations. Each of the ten 1500 sq.ft.Villas feature dual master suites with luxurious bathrooms. All the Villas have fully equipped kitchens, a dining room, a living room with fireplace, and internet access. Each Villa has at least 1 patio as well as a detached garage. The property has a large pool, spa and BBQ Island for entertaining and mingling with other guests. Many services, cocktail lounges and food venues are within walking distance for both the younger and older guests. So whether renting by the day or week or considering our interval ownership, Villa Mykonos may become your home away from home.